This tec+ USB-C to HDMI cable in aluminium supports UltraHD video (4K) at 60Hz, while the plug and play nature of the device lets you connect in no time. Connect your USB-C compatible device to your TV in seconds to enjoy a truly cinematic experience. 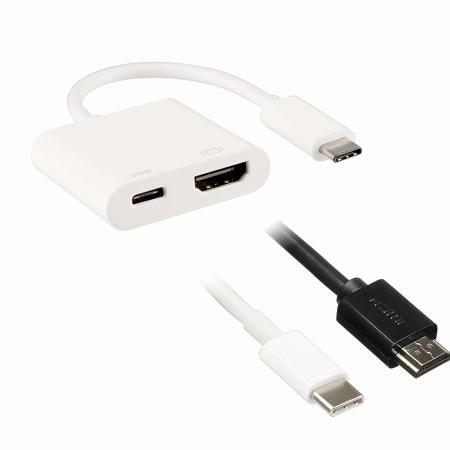 This premium cable from Tecplus allows you to mirror your USB-C compatible computer's or other device's display to your HDMI-enabled TV or display in up to 4K video resolution. It also outputs video content like movies and captured video. 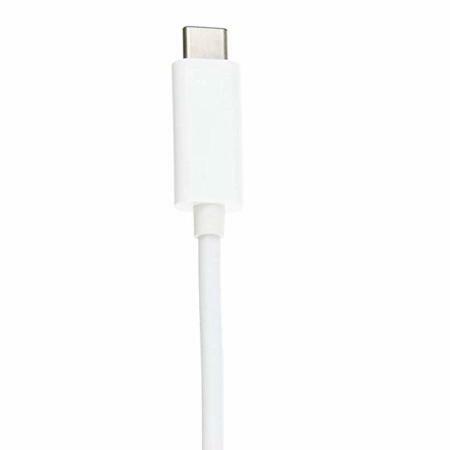 Simply connect one end of the cable to the USB-C port on your device and then another to your TV or projector to begin viewing what's on your computer... but this time on the big screen. Turn your computer into a fully featured entertainment device with the Tecplus USB-C to HDMI 4K Cable. Enjoy Ultra HD 4K (3840 x 2160) resolution at a high refresh rate (60Hz), providing superbly vivid details without any loss of quality from the source with four times the number of pixels than Full HD 1080p. It also supports audio output, meaning you can also transmit the sound to your more powerful TV's speakers. With the total length of the cable being around 1.8m (6 feet), you will surely have enough reach to be able to connect to your TV output device. The Tecplus USB-C to HDMI 4K Cable is a perfect travel companion. 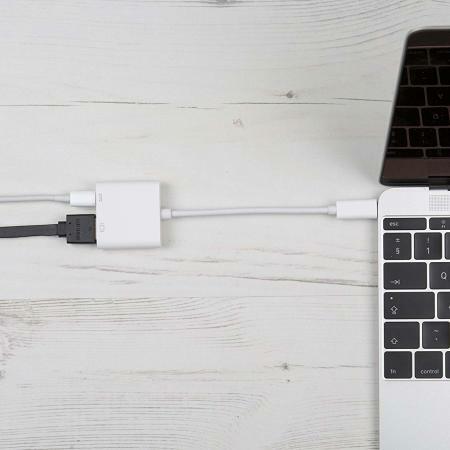 With virtually all TV's and monitors featuring HDMI ports, taking a cable like this with you is always worth while - allowing you to share presentations, watch videos and browse the internet on a more convenient display no matter where you are. The high-quality and durable aluminium build will ensure the long-lasting operation of the cable. 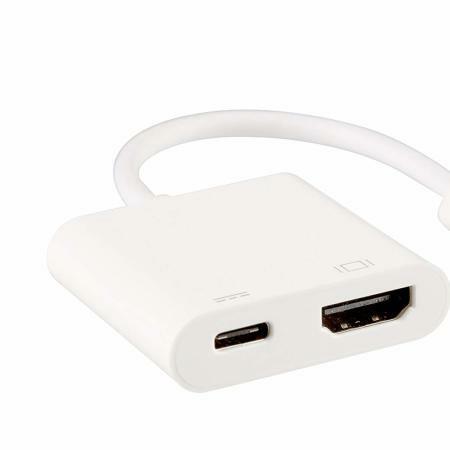 The Tecplus USB-C to HDMI 4K Cable connects to a variety of displays including HDTV's and monitors. This gives you the best possible way to experience all your content from your favourite devices.